Driver Involved in Rollover Crash While Trying to Avoid Stray Cat | Schuler, Halvorson, Weisser, Zoeller & Overbeck P.A. Two-vehicles were involved in a crash which was allegedly caused by a stray cat along Florida’s Turnpike in Port St. Lucie, police said. 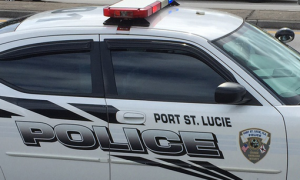 Police are investigating a two-vehicle crash that left two people injured on Florida’s Turnpike, in Port St. Lucie. One of the drivers involved in the crash claimed to have been avoiding a stray cat when the crash occurred. The driver of a 2009 Subaru Impreza traveled northbound on Florida’s Turnpike when he switched into the right lane towards the Bayshore Boulevard exit. As he was about to take the exit road, he lost control of his vehicle and collided against a 2003 Isuzu Rodeo, which was in the lane beside him. The impact sent both vehicles towards the edge of the road where the Isuzu Rodeo collided with the guardrail and rolled over on its side. The driver of the Isuzu sustained some minor injuries in the crash; however, a front seat passenger beside him suffered a neck injury and a few lacerations. Paramedics transported them both to the hospital for treatment. Meanwhile, the driver of the Subaru sustained minor injuries in the crash, and paramedics treated him on the scene. According to police reports, the driver claimed that he saw a stray cat ahead and swerved to avoid running it over. Police are investigating the credibility of the driver’s claim due to the absence of any eyewitness accounts to corroborate his story. Investigations are still ongoing to determine the cause of the crash.